Vision of El Cremo is made from the base of a sewing machine, onto which Saar collaged the wrapper from a cigar box. Within the thread compartment are two toy cowboys. 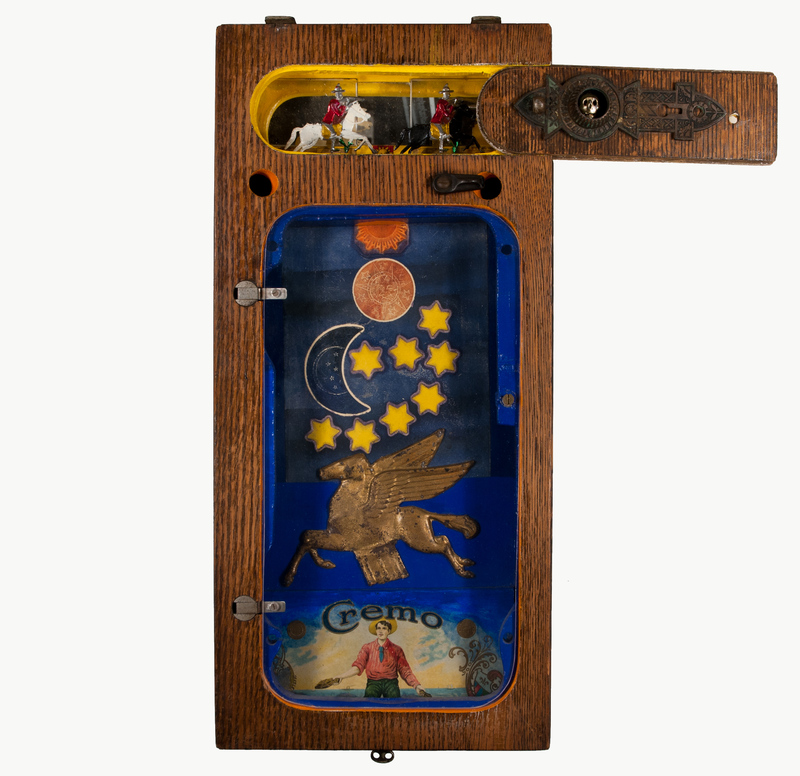 Saar was inspired by the 1967 exhibition of Joseph Cornell's boxed assemblages at the Pasadena Art Museum. The amalgamation of formal and symbolic influences reflects her personal interpretation of traditional objects. "Vision of El Cremo." Now Dig This! Art in Black Los Angeles, 1960–1980 Digital Archive. Los Angeles: Hammer Museum, 2016. https://hammer.ucla.edu/now-dig-this/art/vision-of-el-cremo.